Easter is such a refreshing season. Flowers are beginning to bloom, the days are longer, and the temperatures are warmer. 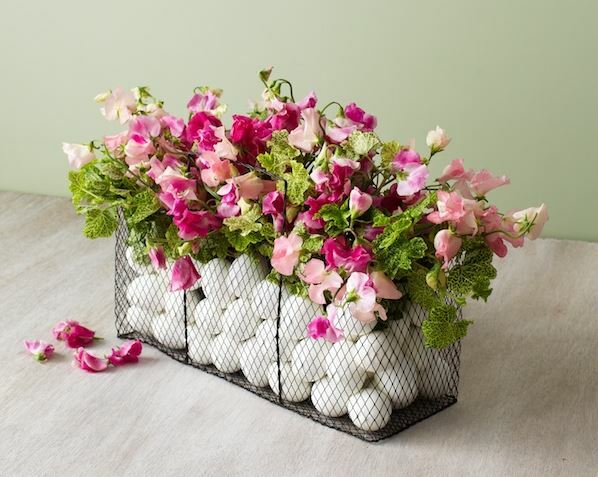 Although Easter baskets are primarily known for holding plastic eggs and candy, they can also have an elegant look perfect for elevating your spring decor. Even though Easter traditions change as you go from a child to an adult, the basket is here to stay. With little presents tucked away in these German egg boxes, this Easter basket is truly unique. The eggs’ glittering paint and satin bows create a sophisticated style, while their vibrant hues add a playful touch. With a black wire basket and white country eggs, this lovely Easter basket has a refined rustic style. Leafy greens and blush and magenta sweet peas seem to overflow the basket, creating a vivid centerpiece perfect for your Easter brunch. 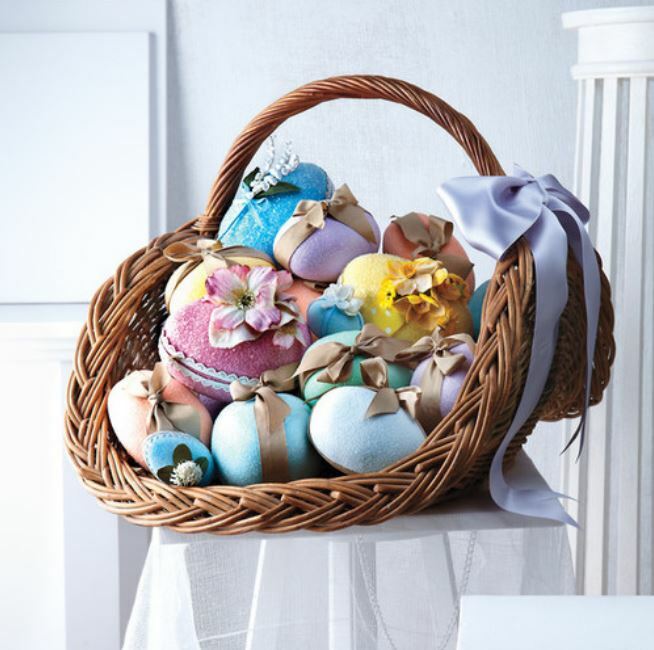 This dazzling Easter basket looks like something from a meadow dream. 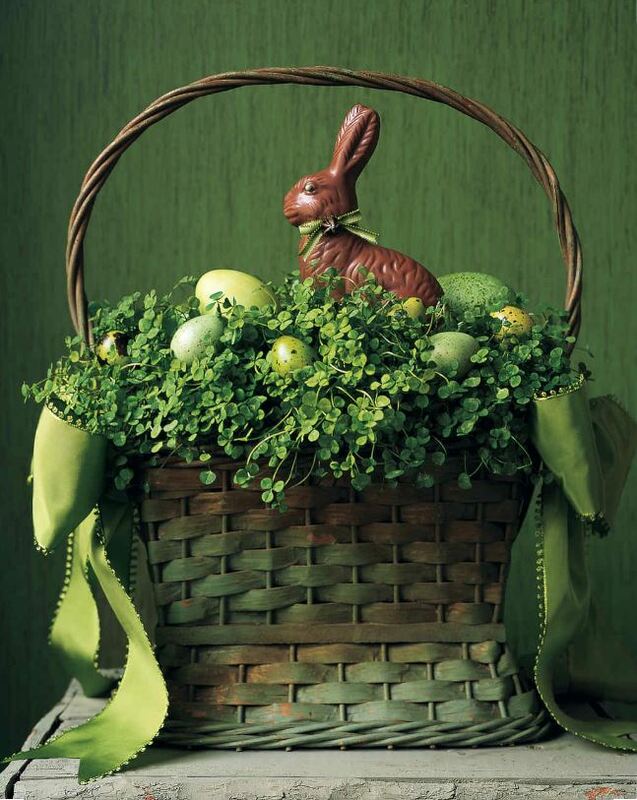 Overflowing with luscious green clover and speckled eggs, this wicker basket has a sophisticated earthy style. A chocolate bunny completes the woodland fantasy perfectly. Your Easter brunch isn’t complete without these darling place settings. 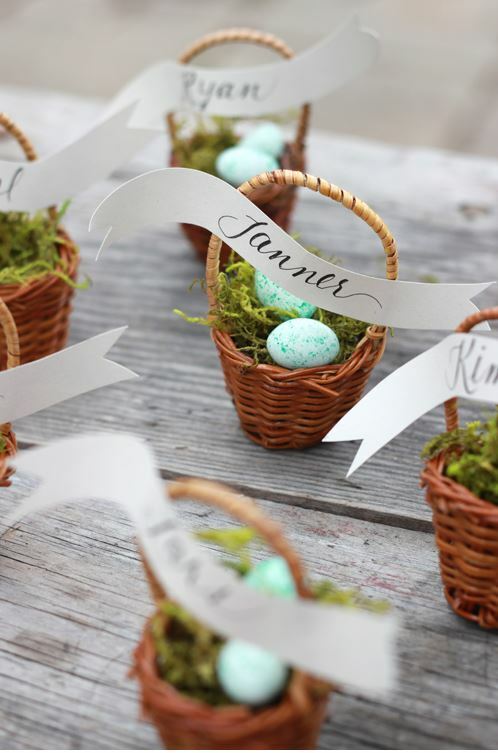 With sea green speckled eggs, luscious moss and precious wicker baskets, these Easter decorations have a whimsical style that will steal your guests’ hearts. 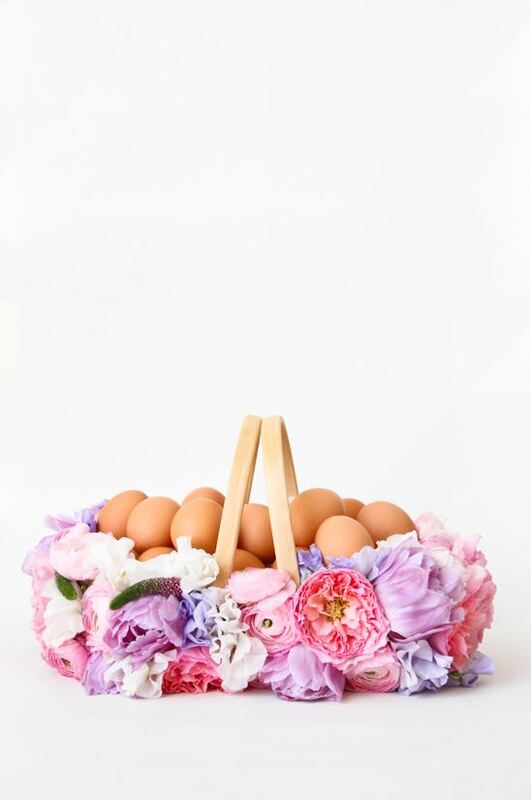 Upgrade your traditional Easter basket by using fresh flowers. With romantic pink and purple hues, these real flowers are beyond stunning. Not only will this centerpiece look absolutely amazing on your table, but it’ll smell great as well. 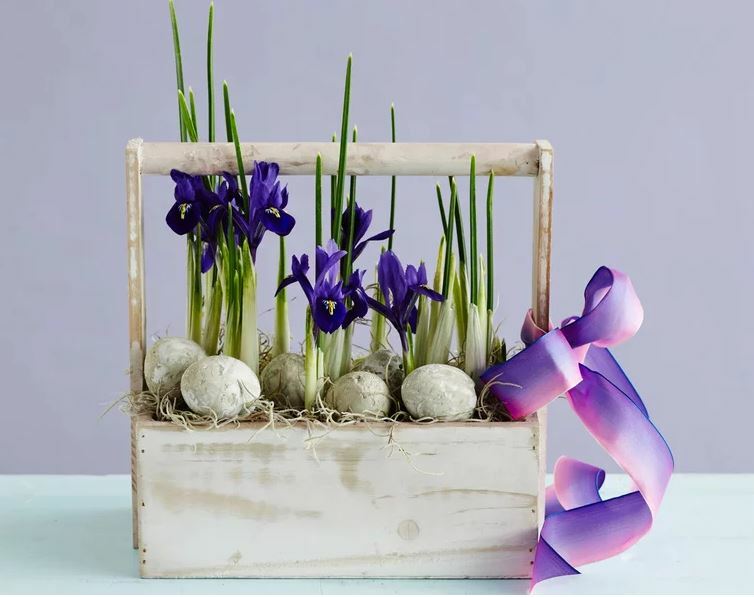 Create a stunning spring floral arrangement with this no-fuss iris basket. With dried moss and grey speckled eggs, this wooden basket has a farmhouse style that’s both clean and rustic. The brilliant purple ribbon ties this look together perfectly. 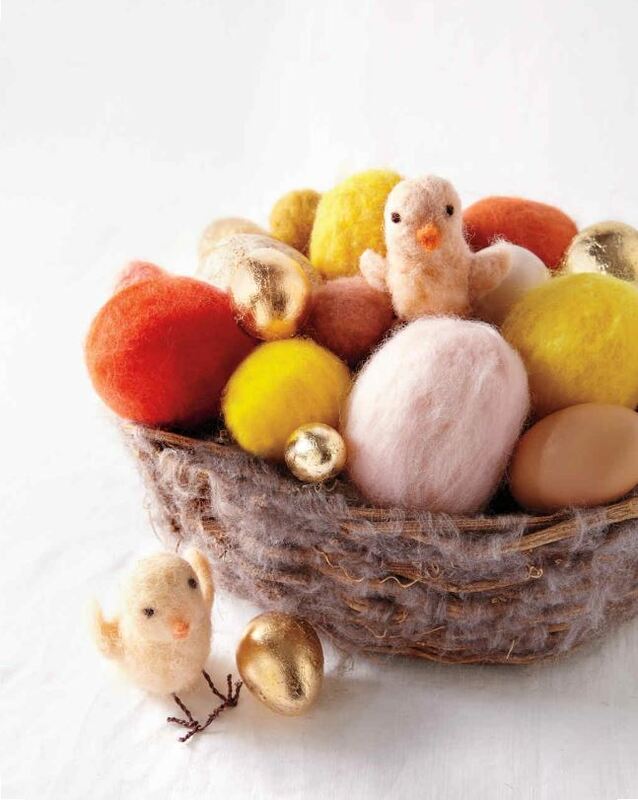 Replicate the softness of baby chicks with this cozy Easter basket. With wool eggs and darling felt chicks, this inviting basket has a homey and eclectic style.